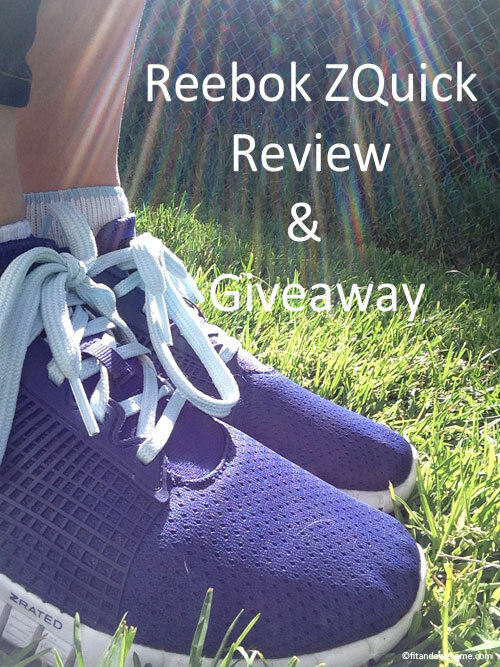 **Disclosure: I received a sample of the Reebok ZQuick shoes in my size for this review. All thoughts and opinions are, as always, my own. This post also contains affiliate links. 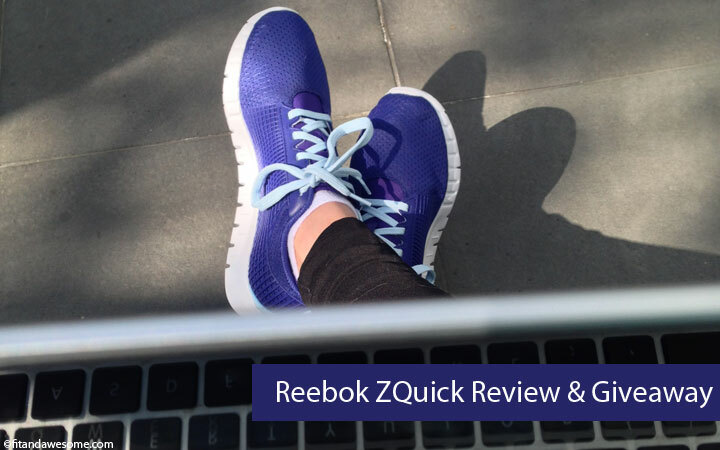 I was pretty stoked when I was contacted to do a Reebok ZQuick review for Fit & Awesome. I’ve had my eye on Reebok for awhile now and I’ve been impressed with the way they’ve gotten behind the crossfit movement over the past few years and have created crossfit inspired shoes and are the title sponsor behind the Crossfit Games. I’ve always wanted to try out a pair of their new fitness / crossfit inspired shoes so naturally I was pretty excited to hear about and try the new Reebok ZQuick. The bottom of the shoe is also nice and flexible, which I noticed right out of the box. I wanted to make sure I did a thorough review, so I wore these shoes for several different occasions over the past two weeks before sitting down to write this review. Running- I’ve taken the Reebok ZQuick on several runs now and they perform great. They remind me a lot of the original Nike Frees that I purchased several years ago. I loved those shoes and wore them into the ground. Then I bought a new pair, the Nike Free 2’s, and they just weren’t the same. I was pretty bummed. But the Reebok ZQuick‘s reminded me of that original Nike Free pair that I loved so much. It made me happy to find a shoe like this again that as light, flexible, and provided me with just enough support without being too bulky. Now keep in mind, I never ran over 3 miles in these shoes so I don’t know how they would perform on long runs. But they were the perfect level of support for my short runs. I could also see how these would be good for short, explosive sprints too. Walking / Day Use- I have worn these on the majority of my dog walks with Kona. They are super comfortable and I’ve even gotten comments on their looks. I also wore them to an all day fitness event I went to with Murad and several of my fellow bloggers were commenting on how awesome my Reebok ZQuicks were. I was also gushing about them because they were so comfortable! Gym- I used these for some body weight and light lifting exercises. The sole is not completely flat, but it lays flat enough for me to feel comfortable lifting in them. I also wore these to a spin class and put my feet in the cages on the bike. They worked out great. Lightweight- They are light! Like I said above, they remind me of my original pair of Nike Frees that I loved so much and I thought that style was lost forever. Oh yeah, and it dries quickly. I accidentally left these outside in the rain overnight and they dried within hours. Responsive- The material is called NanoWeb technology and it’s light and responsive. I felt comfortable doing a variety of different exercises in the Reebok ZQuick. I’m sure they’d be an awesome shoe for doing Crossfit WODs (workouts of the day) where you switch from lifting to sprinting to bodyweight exercises all in the span of a quick workout. Fit- The shoe is a bit more low cut than I’m used to wearing, so it feels a bit different when you first try it on. 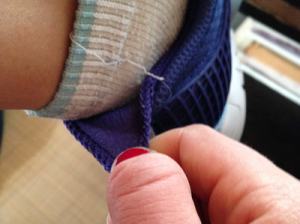 There’s a mesh tab on the back of the shoe to help pull it up and get it on properly. This was a nice touch and I’m loving that feature. I went through and tried to think of the Cons or things I would change about this shoe, but to be 100% honest with you – I can’t think of any. I’m really thrilled with this shoe. I love the colors they come in, the price point is fantastic, they’re light, and they work great for all my different styles of workouts. If you are in the market for a lightweight shoe for shorter runs, gym, and walking then I highly recommend you check out the Reebok ZQuick. 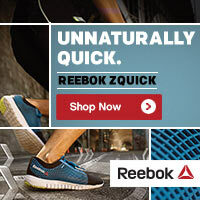 If you are interested in purchasing the Reebok ZQuick’s, you can get them online at Reebok.com. They are currently priced at $85 which I think is a great deal as most of the shoes in this type of style are $100 and above. Or you can roll the dice and enter my sweet giveaway below! As you have read above, I really love this shoe. Now I want to share the love with you. Enter below for a chance to win your own pair of Reebok ZQuicks in the color and size of your choice. Thank you so much to the folks at Reebok for making this giveaway possible. You rock! What about you? 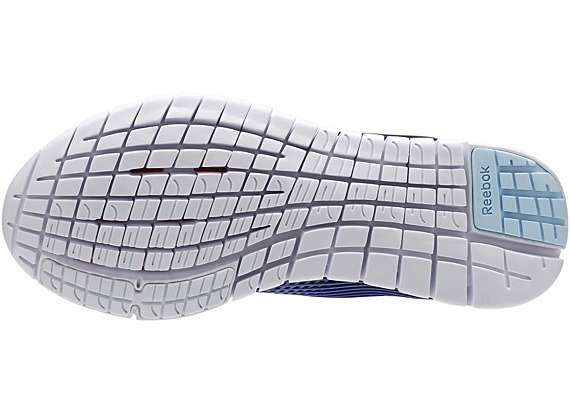 Have you tried the Reebok Zquick shoe? What did you think? What shoes do you like for shorter runs and gym workouts? Post in the comments and let me know! I’ve heard great things about these shoes but haven’t tried them yet! I’d love them for my interval training running stadium stairs or body weight circuits. They would be great for that type of training. Good luck! I really need a pair of shoes for the gym with a flatter bottom. Moving around too much in my running shoes when lifting weights! Looks like a perfect shoe to pack for travel (walking and workouts on the road), and would be great for running, gym workouts, walking the dog, etc. oooh! I like those and they look fabulously comfy. The tab is by far one of my favorite features. Good luck! I am in desperate need of some new shoes for the gym, walks/runs around the neighborhood and for playing tennis this summer! These sound like they would be great! Like Reebok shoes. I have the CrossFit Nanos that I received from FitBloggin’ last year and while I don’t CrossFit, I do like ’em. I’ve never run in Reeboks but would love to try. I’d love to win these shoes because I just started a exercise routine of walking almost daily around my neighborhood. A good pair of sneakers like these would be a wonderful help. These would be great for walking around your neighborhood. I wear them daily to walk our dog and I love them ! Good luck! I seriously need a good cross training/ circuit shoe! I am always trying to find new shoes that are actually comfortable to run in. These look good. I’d like to give them a try. I absolutely love the style of these, my biggest complaint about workout shoes is that I want them to represent my own personal style. Thanks for introducing me to these! Hey Mona -I think Reebok has a custom shoe program where you can choose the color of your shoe. You should check it out! I have a lot of spring races coming up and would love these shoes! Since the weather is getting nicer I plan on starting my walking routine again. These show sound like they would be good to walk in and they come in some great colors. I just got a new treadmill (so excited) and I need a really good pair of running shoes! These look perfect! I need some new shoes, and these would be great for walking. I really need a new pair of sneakers and I’d love to get a nice lightweight pair that won’t weigh me down. These look great. Do they come in guy’s shoes? If not, I’d be a nice son and give them to my Mom. Oh, site loaded. I see they have guy’s shoes. I’d do orange. Orange is a happy color. The orange ones are pretty sweet. I’d love to have a pair of ZQuick to use for speedwork and shorter races. Ben – they are AWESOME for speedwork. You will love. I like the fact that hey are lightweight and a good walking shoe too! They are good for both! Good luck to you! How’s the gluten free diet going? I would love to win because Reebok is always my “go to” shoe, and they look so cool! They would be great for my HIIT workouts and running. Thank you for the wonderful giveaway. You’re welcome, Erin. Good luck to you! I would love love love to have a pair of these. I bought the speeds back in November and would love another pair of running shoes!! I also love that Reebok has backed Crossfit with a number of shoes! Lifting shoes are on my list to purchase next! I would love to win a pair! I have a pair of the Nike Frees too but they are way past their expiration date & these sound like the perfect replacement! I think these shoes would be awesome for my morning HIIT workouts! I only have running shoes, and would love these as cross trainers. I keep seeing these and want so badly to try them! I am in love with Reebok’s! I actually just ordered some tonight! I ran 2 half marathon’s in the Smoothflex Ride 3.0. Absolutely love how cushy the shoe is and how it fits to your foot. I would love to try this for running! I would love to win because I’ve had the same shoes since 2007/08 & I reallly need some new ones! I would love to have a pair of lighter sneakers like these and I think they’d be great for jogging especially in the warmer months. C- these would be great for jogging. What sneakers do you have now? I would love these for my new exercise program. Good luck, Debbie! What is your new exercise program? Good luck, Dana! How did you find out about this giveaway? These shoes are perfect for the gym. Good luck! Congrats on learning to run. Good luck to you! I would love to win these for my daily workouts and running. They would look and feel so much more comfortable than the 5 year old ones I have now! I don’t have any workout shoes at the moment and these look stylish! I really like the look and feel they would be so comfy! They look comfy and are super cute!! These shoes look awesome for working out!! I just started walking and getting healthy and these shoes would be great! I would love to win these because I need new shoes to do the treadmill in and I love Reebok! Thank you for the chance! These shoes look great for my workouts and I like that they look light which is what I prefer. These look great. I just started getting back into fitness and a good shoe that would work for walking, running, dancing, and weight lifting would be perfect. I would love to win these because I need some tennis shoes and these look like just the thing to help me start walking. Yay! I’m glad you found my blog too. Be as nosey as you’d like! 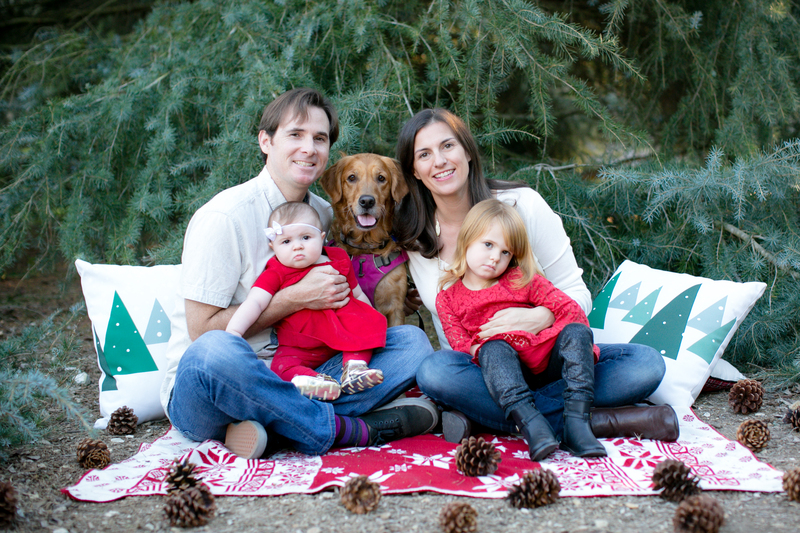 How did you find my site? I’m definitely in the market for a new pair of kicks for walking the dog and hitting the gym. I’ve heard a lot of good things about these and would love to try them out! I would love to win because I am a runner and I spend a lot of time in the gym cross training. These look like fabulous shoes for me to try out! I want to win this for my GF, she would love them! I’d love to win these shoes because I could use some lightweight sneakers for when I run around with my children. I LOVE that they are Light weight….. Love the Colors…….. Would love to have them for Exercising and Working out……. I really need a new pair now also……… I would LOVE to Win them!!!!!! My Body Combat instructor told me about these tonight. I really hope to try them out for class and my other workouts!